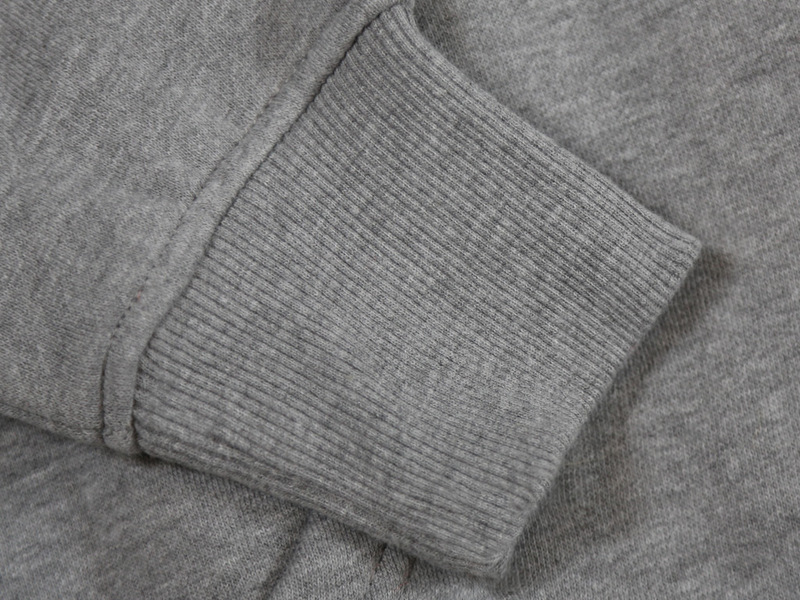 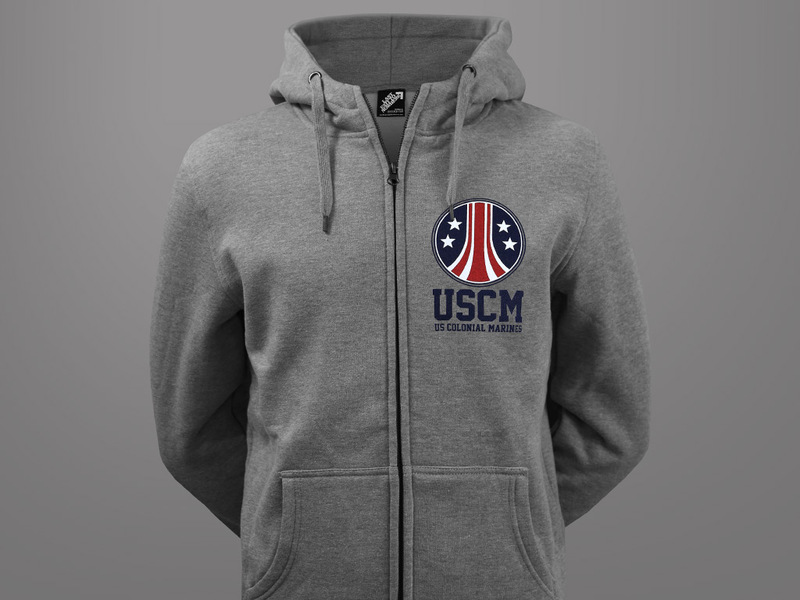 A three colour breast print, hand screen printed on a grey marl high neck premium 80% combed cotton/20% polyester zip-up hooded top. 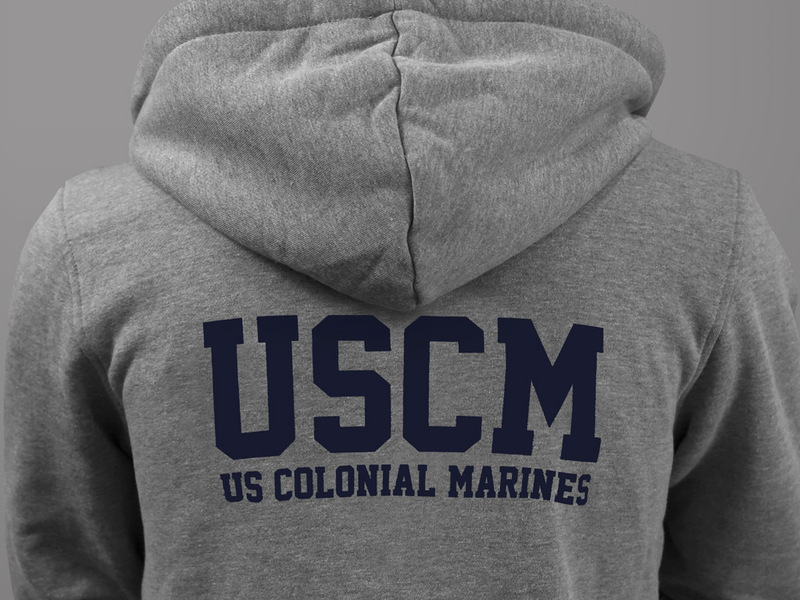 Includes a USCM back print. 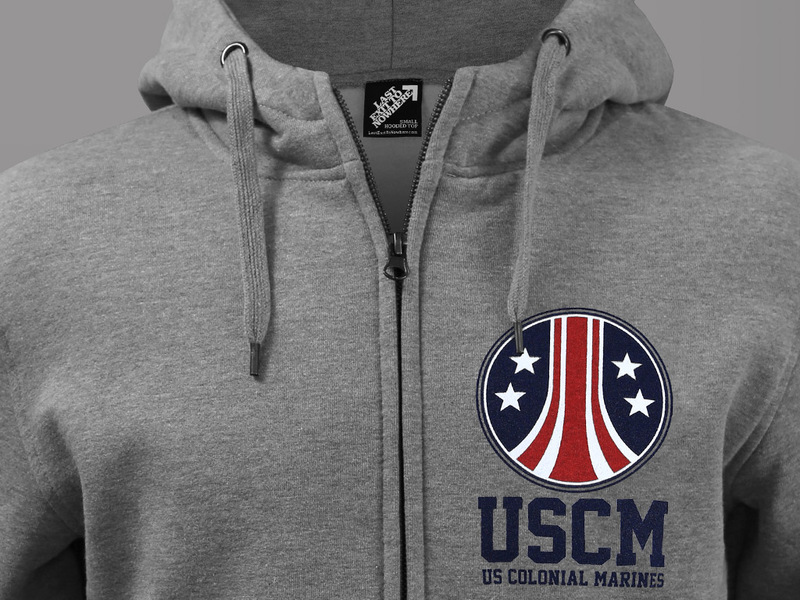 Inspired by the fictional marine corp featured in the 1986 film, Aliens, written and directed by James Cameron and starring Sigourney Weaver, Carrie Henn, Michael Biehn, Paul Reiser and Lance Henriksen.